Ricardo is a Portuguese biologist. Since 2008 he's been working towards the conservation of the endemic-rich forests of São Tomé and Príncipe, a small island nation in central Africa. His research focuses on the impacts of human activities on biodiversity, using birds and plants as model groups. He's also interest in environmental education and natural resource management. 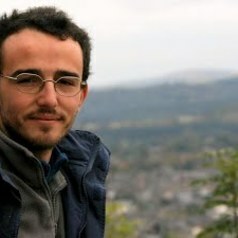 Ricardo is currently a postdoc at Lisbon University.